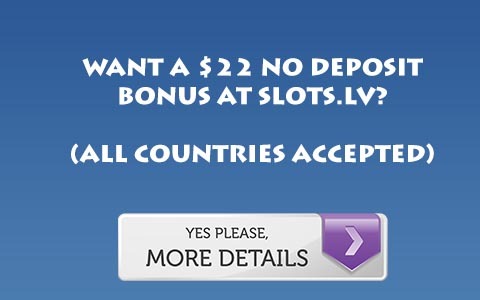 Reload Bonuses are one of the biggest ways poker sites lure in repeat business. A reload bonus is a bonus offered to existing players on a poker site. They offer you an additional bonus if you deposit on their site again. Once you have re-deposited, you must then clear the bonus at the tables. Some offer monthly reloads, some sites give them out less frequently, and some seem to give them out nearly every week. This guide lists the poker rooms that provide frequent reloads, and which poker rooms are offering current reloads. We also list sites that offer monthly VIP bonuses. These do not require a reload deposit, but otherwise are similar to a reload bonus. By taking advantage of reload bonuses and rakeback, a player can expect to be constantly earning the equivalent of 50% rakeback or more. Some sites will pay out in the neighborhood of 70%, and on occasion Carbon Poker has offered reloads that when combined with rakeback paid out the equivalent of over 100% rakeback. We offer rakeback on any site listed in bold. The following guide lists each site and bonus in the order of frequency and size of their reloads, as well as the overall quality of their bonus offerings. Carbon Poker offers 2-3 reload bonuses a month. Typically they offer one or two large bonuses that clear at a slow rate, and a smaller bonus that clears very quickly. Play Aces Poker (Formerly Players Only Poker) offers a mix of site wide reload bonuses as well as offering players a monthly reload bonus as a part of their VIP program. In recent months, Cake Poker has offered 2-3 reload bonuses per month. These reloads average $300, and are sometimes as large as $500. Cake Poker offers the biggest and most frequent reload bonuses on the Cake Poker Network, especially compared to some skins such as Red Star Poker which will only offer $100 reload bonuses. Doyle’s Room is now on the same network as True Poker and we advise players to play through True Poker. 24h Poker in recent months has offered monthly reload bonuses, often very large in size. True Poker has begun offering reload bonuses once again. It is unknown how regular these would be, but given the current bonus is so large it will take you awhile to clear it! Either way it is a welcome sight to see another room that allows US Players to offer reloads and rakeback. The marijuana themed Merge skin Reefer Poker used to offer one reload per month. This has changed and they have not offered any reloads in months. If they do, the bonus is usually announced within the first week of the month and runs for the entire month. The bonuses tend to be large, averaging around $300. However the site itself seems to no longer exist. Oh well! In the past, Aced Poker has offered infrequent reload bonuses, but is now under the same umbrella as Carbon Poker and PDC Poker and looks to be offering frequent reloads. PKR only offers 3-4 reload bonuses per year. However, they tend to be very large. These reloads are in the neighborhood of $500 in size. Pokerstars offers reload bonuses about 4 times a year. These are usually $100, but can be larger. Pokerstars was skimping on reloads in 2010 and early 2011, but the recent Black Friday developments have made it obvious they can’t do that anymore. Expect more frequent reload bonuses from Pokerstars from now on. Lucky Ace Poker offers one, and on rare occasion two reload bonuses per month. These reload bonuses are normally active over a 3 day period. If they offer two reloads in a single month, the second one tends to be more traditional with a longer time limit. Devilfish Poker has a monthly VIP bonus system that allows you to earn bonuses ranging from 5 Euros to 3,600. These bonuses do not require a reload deposit to be made. In the past Poker Host offered monthly reload bonuses. This has changed and they are offering larger, but more infrequent reloads that are difficult to clear ever since their switch to the Merge Network. Pokerari (Everleaf Network) Current Bonus: 100% up to $200. Pokerari has had one active reload bonus for the past year. It is a $100 reload that may be used once. PayNoRake Poker offers weekly reload bonuses, however for the most part these do not offer players a cash bonus. Instead players get a free entry into their Guaranteed Tournaments. This is not a bad deal at all, especially considering this site offers 50 to 100% rakeback! Bodog Poker formerly offered monthly reload bonuses. They have recently changed their bonus policy and we are waiting to see how this will affect the quality of their bonuses. In the past, Full Tilt Poker offered infrequent reload bonuses. Now they seem to have stopped offering traditional reloads and instead offer “opt in” bonuses every three months or so. These bonuses average $50 in size. The Boss Network: We offer 30% rakeback on Fortune Poker, a Boss network skin. Fortune and other Boss skins offer monthly reload bonuses. However, these bonuses are not open to players with rakeback. While this is annoying, the reload bonuses are capped at the equivalent of 10% rakeback. So you are earning far more from rakeback than you would from the reload bonuses. Fortune Poker is currently offering a Summer Reload for rakeback players who have been inactive for 3 months.